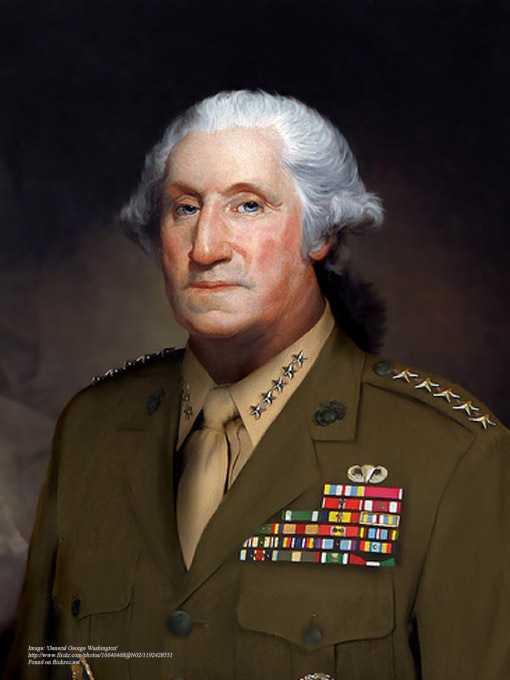 In this interview for Real Men of Genius we talk to the first President of the United States, General George Washington, an inspirational leader and military genius who commanded the American troops in the War of Independence and defeated the British. That is right, although my ancestry was British. My great grandfather emigrated from England in 1657. You had a number of brothers and sisters but your father died when you were young? I was 11, in fact. Unfortunately, that interfered with my education to the extent that it was not then possible for me to receive an English education as my brothers had done. I was almost 27 when I married the widow Martha Custis. She already had two children from her earlier marriage. We didn’t have any children of our own although I cared very much for my stepchildren. We moved to Mount Vernon which I had inherited from my half-brother, Lawrence, upon his death. That was a plantation on the Potomac River. It was pretty much open house there and, after Martha’s much too early death, I frequently entertained guests there. What was your initial view when the first disagreements took place between the British and the colonies? At first I hoped for, and advocated, peaceful measures, but before long it was very clear that only force would suffice if we were to ensure that we had that to which we were properly entitled. You were earlier involved in the colonial wars on the British side against France? Yes, indeed. It is where I gained so much experience of British tactics. You attended, on behalf of Virginia, at the first and second Continental Congresses in 1774 and 1775 and took a leading role, I understand? Well, by the time of the second Congress the battles of Lexington and Concord had taken place, and I appeared in full uniform to indicate that I was ready for war. You were, I know, strongly patriotic and history records that you were the natural choice for Commander-in-Chief of the American Army. What sort of army did you command. As you will also know, I did not ask for the position of Commander-in-Chief and I doubted that I was equal to it. As for the men, at that time they were as you would expect, amateur soldiers, farmers, mechanics and fur trappers. We also had scouts. My job was to forge them into an effective fighting force. Our fortunes varied and we lost a number of pitched battles. Our notable successes included forcing the British from Boston in 1776, and victories at Trenton and Princeton in 1777. What do you regard as your principal achievement in the war? I feel confident that was holding our army together through the winter of 1778 at Valley Forge. Although there was no fighting during the winter, it was bitterly cold. The army was in danger of falling apart because of lack of supplies. Somehow we managed to hold it together and lived to fight another day, so to speak. Our strategy on this occasion was to hold the British at bay until French reinforcements arrived. We sealed an alliance with France in 1778, defeated the British and forced a surrender which I took from Cornwallis at Yorktown in 1781. That effectively ended the war. Then came the Treaty of Paris? That wasn’t until 1784, of course, but by that Treaty the British finally recognised the independence of the United States and I was able to disband the army. In the same month that the Treaty was signed, the British also evacuated New York City and I was able to take possession. And that led to your retirement as Commander-in-Chief? I wasn’t back in Mount Vernon for long though, because I was elected president of the Constitutional Convention in Philadelphia in 1787. Soon afterwards the 13 states ratified the new constitution. And then came the first presidency of the United States of America? Yes, I was elected president by the electoral college in 1789 with 100 per cent of the votes, and again with 100 per cent of the votes in 1792. John Adams. He received the next highest number of votes. They wanted to pay me a pretty grand sum of money, but I was already very well off and, at first, declined. They later persuaded me to take it for fear of setting a precedent that only the wealthy would be able to accept office. Real Men of Genius – retirement? Was there ever any prospect of you remaining in office after your second term as president? Yes. I was reluctant to serve even the second term, and although I was persuaded to do so, I didn’t think it was right to stand for a third time, so I declined. And you therefore set the precedent that no president will serve longer than two terms in office? Where did life take you after that? It was back to Mount Vernon, the plantations and my business interests. But relations with France broke down, didn’t they? Unfortunately so. John Adams was president by then and he asked me back as the senior army officer in case of war. I helped in the planning but delegated much of the work to Hamilton. You died on Saturday 14 December 1799 at your estate on the Potomac River, and your remains were interred there at Mount Vernon. It is said that many Americans wore mourning clothes for some months? Thank you, yes. 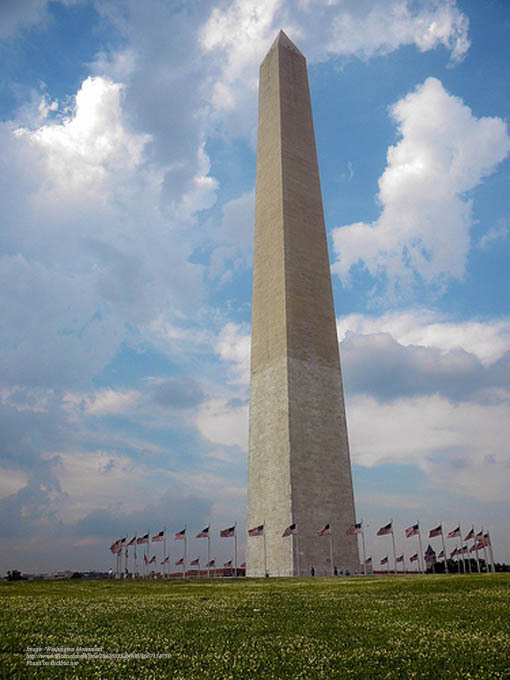 And I am deeply honoured that the capital of the United States bears my name today.